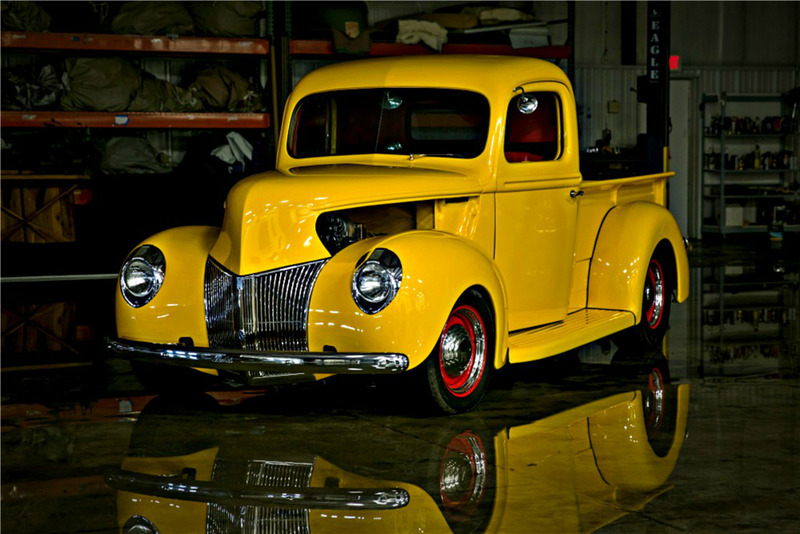 This custom 1947 Ford pickup was frame-off restored. 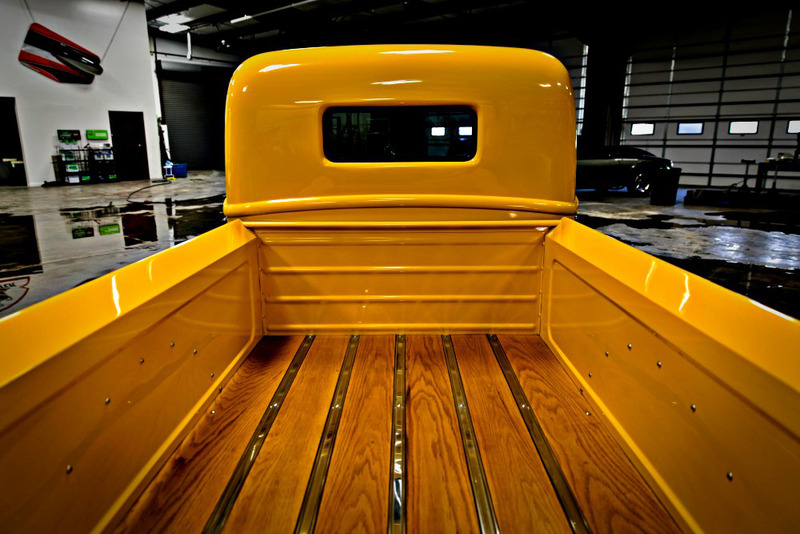 The body was stripped down to bare metal and a custom 1940 hood was added for more of a classic look. 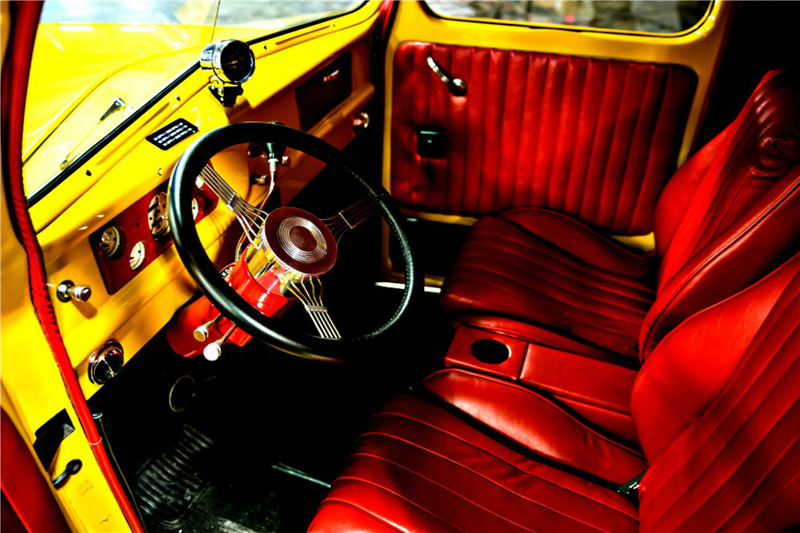 It is finished in Chrome Yellow paint with a contrasting red interior. It is equipped with Mustang II tubular front suspension with rack & pinion steering, 4-link with 9” Ford rear end, Vintage Air, tilt wheel, tinted power windows, oak bed and vintage wheels. It is powered by a mild-built 350ci engine and a 4-speed automatic transmission.